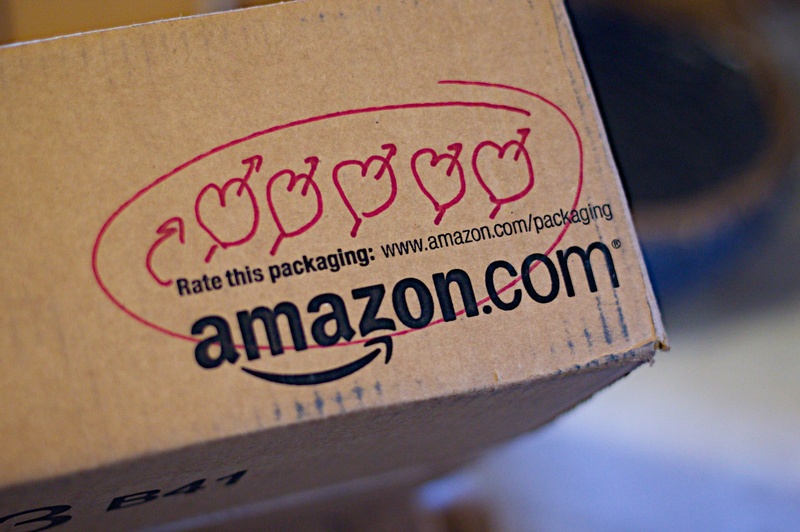 Amazon’s entrance into the sampling sector has been met with no small amount of controversy from the world of customer experience. Many are concerned that the company risks alienating users at a time when data privacy is of paramount importance. Sampling is a traditional marketing approach that has proven effective, with 61% of us singling out product sampling as the most effective route to conversion. But until now it has remained largely untouched by online retailers. Amazon, however, is not just any online retailer. The concept is quite ambitious and whilst it is outlined in greater detail in this Axios article, the basic concept is that Amazon intends to let brands pay to send free samples to its customers using machine learning based on their consumer habits. It’s a bold move that only Amazon, as the world’s most trusted online retail service, could make – essentially transforming samples into targeted ads. With more than 100 million subscribers to its Prime service alone and millions more purchasing goods regularly from the company, Amazon is in a unique position to fundamentally change the sampling sector forever. To gain some perspective on the matter, we caught up with WDS Account Manager, Chelsea Lovegrove. WDS has worked with Costco for over 20 years now, planning, managing and implementing product sampling and delivering over 75,000 product demonstrations every year. Chelsea is in regular contact with key brands within Costco and her knowledge and visibility over the sector is second-to-none, so she was perfectly positioned to offer some key insights regarding Amazon’s entrance into the sampling sector. Chelsea says: “Amazon is a market leader in every sense of the word, so if their version of sampling is a success, there will be plenty of other retailers replicating their strategy, particularly seasonally and during the first few months of the year, when people are more open to new brands and experiences.” The ‘Veganuary’ campaign this year was proof of this phenomenon, with 250,000 people from 23 countries signing up to the heavily branded experience this year. The move into physical sampling could be seen as another attempt at differentiation. Chelsea adds: “People are getting a bit sick of generic targeted ads, to the extent that people have almost stopped noticing them.” That’s why Amazon is going back to basics in an effort to keep their name at the forefront of people’s minds. Digital has been really important for a long time, but brands are kicking against it now and going back to the physical realm, with 77% of marketers now actively using experiential marketing. Facebook and Google are companies that have built ad empires through precise targeting, but neither of them has Amazon’s delivery prowess and name recognition when it comes to retail. By bringing samples and data-based ad targeting directly to people’s doorsteps, Amazon could comfortably overtake the competition. Amazon feels that by marrying its vast swathes of consumer data with ‘old-fashioned’ sampling it is far more likely to convert customers than if it were bombarding them with ads. They might be right, but whilst it won’t cost Amazon much, Chelsea believes “it’s going to be more expensive for the actual vendors to supply those free products, which haven’t even been asked for.” In short, it’s a risk for brands. There could also be privacy concerns. On social media, consumers have already expressed dismay at being sent samples for reasons they can’t comprehend. But it’s still in the teething stages and customers can easily opt out of the service if they wish. With face-to-face sampling, we know what consumers are interested in because there’s actual dialogue, whereas Amazon is simply building a profile from what people have bought previously. Chelsea explains: “It means if someone can’t use something because of (for example) an allergy, then that sample is not only wasted but it could lead to a negative consumer reaction. With WDS, however, we get to ask them there and then if the product is suitable for them, rather than making assumptions purely based on data. This gives us a vital opportunity to understand more about the consumer and tailor the product specifically to their needs.” For example, somebody with a particular skin type could be advised on a skincare products that would suit them. As a face-to-face interaction is a conversation, it also presents an opportunity for samplers to cross-sell other products from the brand that they might be interested in. One of the reasons people love going to Costco is the samples; all of the brands understand this and use it to their advantage. There’s something to be learned there and Amazon was obviously paying attention. If they can make sampling one of their main draws then it will benefit not only Amazon, but also the brands using it as a sales platform. Amazon actually has an advantage when it comes to relevancy in how quickly it can have an activation up and running. It takes a lot of planning to organise an in-store event. You also don’t get that instant update with what’s going on with regards to trends. However, if Amazon sees that a specific event is coming up or catches a trend, they can quickly change the samples they’re sending out and take advantage of it. That being said, Amazon is unable to observe and respond to a consumer reaction of a sample, which has always been one of the primary benefits of a face-to-face sampling. Ultimately, this is just a trial. Chelsea thinks that “eventually Amazon will want to give their customers the opportunity to choose their interests and build their own ‘consumer profile’ of what they would be open to trying and then combine that with their buying history.” Only then will we be able to see the true potential of this approach. Until then, it’s going to be a period of trial and error. However, in order to succeed, Amazon needs to be aware of the potential issues, be willing to develop the practice as it evolves and be willing to learn everything possible from a sector that might be old fashioned, but still has a few tricks up its sleeve. Chelsea Lovegrove is an Account Manager for WDS and is in regular contact with key brands within Costco. To find out more about sampling at Costco, get in touch with us directly.